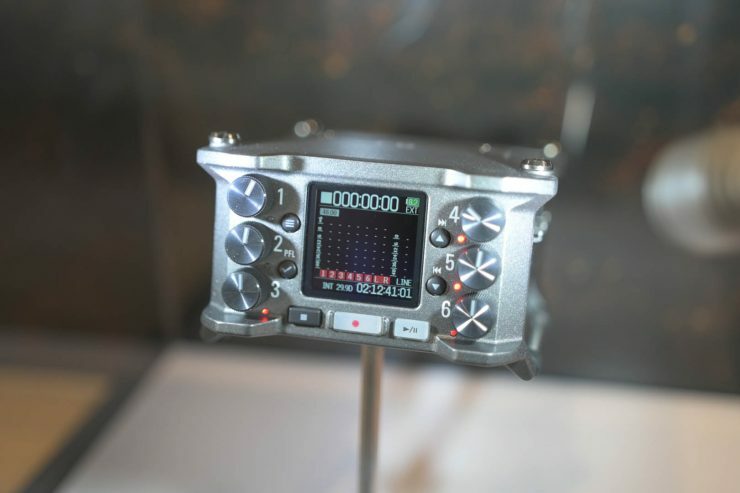 The Zoom F6 is the company’s latest small audio recorder that sits just under the Zoom F8 in Zoom’s product lineup. It’s currently in prototype stage but sounds like it has a lot to offer in a very small package. 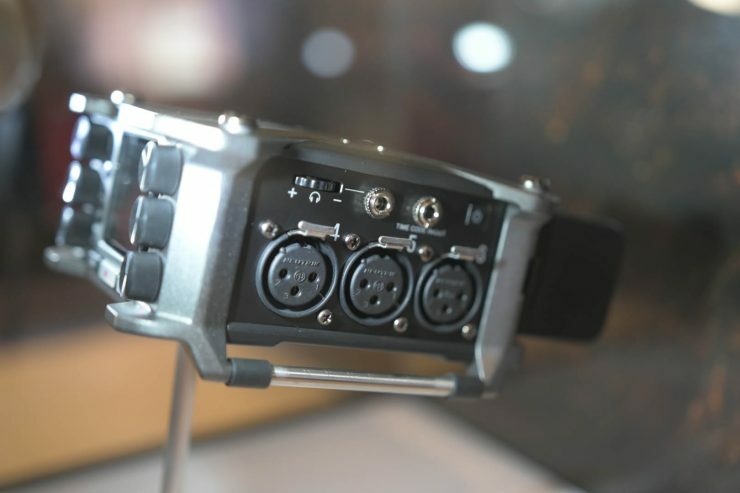 The front of the unit features six hardware knobs for six full size XLR inputs. 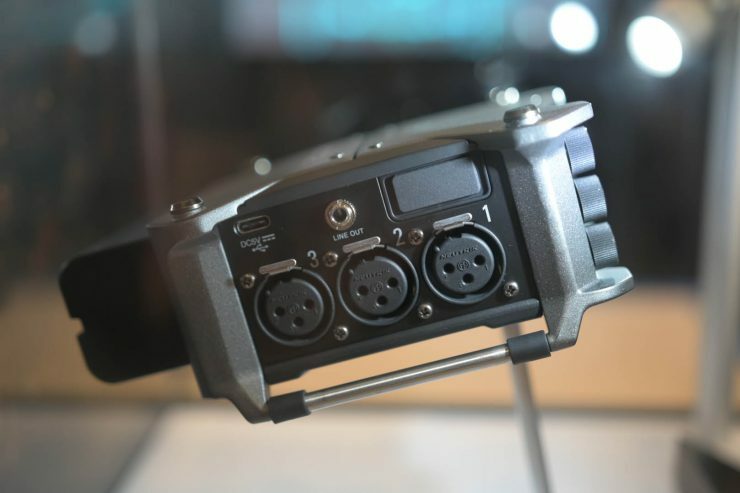 There are six inputs with the same preamps as the Zoom F8, one line output and a TC generator as well. Power is supplied by Sony L series batteries on a sled and Zoom expect you to be able to go all day on a single charge. As well as physical controls on the unit you’ll also be able to use the company’s F-Control iOS app to control the Zoom F6. Internally there’s a new A/D converter that Zoom claims is so good you’ll clip your mic before the Zoom’s electronics. 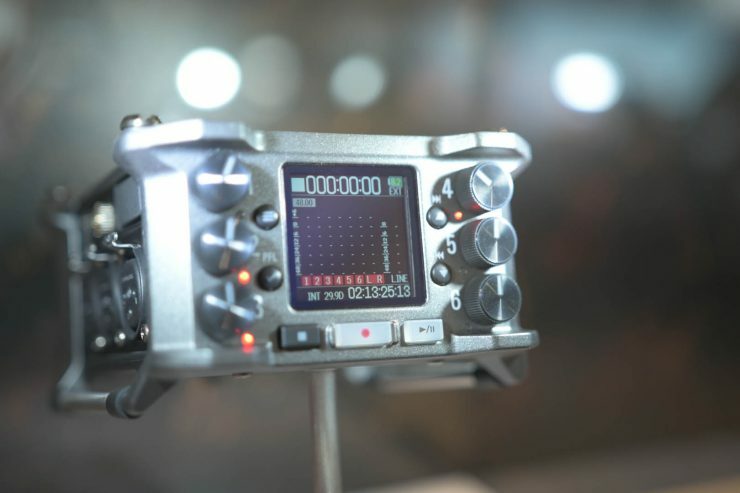 Although Zoom see the main audience for the F6 as sound recordists, it will also work as a companion to a mirrorless camera or DSLR. There will be a bracket for mounting underneath between the camera and tripod. 32bit files – RAW for Audio? Interestingly it also offers what sounds like an audio equivalent of RAW capture. 16bit and 24bit recording are supported but the F6 also features 32bit recording. Zoom say the key difference with 32bit recordings is that you have so much dynamic range you don’t have to set gain for your recordings and just need to ride the fader. And apparently even if you have the fader all the way down when recording the waveform will still be there when you take the file into a DAW. 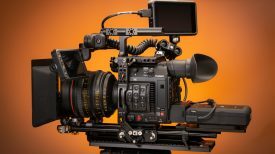 32bit files should be useful when recording scenes with a lot of dynamic range in the audio – gunshots for example or loud cars where you’ll be able to capture the whole sound on one device with one microphone. 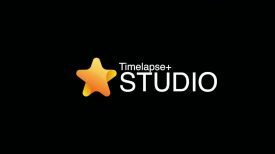 How exactly that works in practice remains to be seen, but audio editing software will accept 32bit files already – so you won’t need to drastically change your workflow to accommodate the new files. 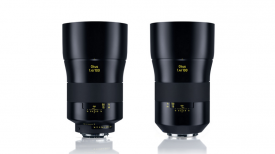 The Zoom F6 is expected to ship in June although there isn’t any information on pricing yet.